In any given field, the top 10% of performers produce more than 50% of the big breakthroughs. What is the key to these superstars’ success? Fortunately for most of us, the answer is not raw talent or even expertise. The truth is, these top performers produce as many bad ideas as everyone else—but, crucially, they learn from their failures and continue to innovate. Iteration has been shown to improve performance across a range of fields. You’ll hear this right from the source, too—Jeff Bezos, Mark Zuckerberg, Arianna Huffington, and other entrepreneurs have said publicly that their platforms achieved success through experimentation. But experimentation happens behind the scenes. Null results are almost never published, and failures are rarely publicized. When all you see is the end result of innovation, it can seem straightforward. Nevertheless, while successes are what made these innovators famous, failures are what got them there. At ideas42, we’re acutely aware of the importance of failure—it’s a great way to design effective solutions that work for real people. For example, we’ve been working with IntraHealth International and the Senegalese Ministry of Health and Social Action since 2014 to support reproductive health in Senegal, and we’ve faced many challenges in designing a solution that has the potential to increase use of family planning services across an entire nation. In Senegal, more than 22% of postpartum women wish to delay their next pregnancy by at least two years yet are not using a modern method of family planning. Integrating family planning services with child immunization service shows potential as a high impact practice, particularly in countries like Senegal where nearly all women bring their children to a health facility for at least one vaccination. Knowing this, we set out to optimize the integration of these two services to create an enabling environment for new mothers to make key decisions about their family’s health—including if, when and how they might delay their next pregnancy. After a few rounds of design iteration and user testing, we ended up with a two-part intervention design. First, a referral card given to each client during routine immunization visits prompts clients to plan a time to talk with a health worker about family planning. These small referral cards include images of immunization, breastfeeding, and birth spacing conversations. Corresponding job aids provide health workers with simple, actionable key messages about each of these topics. This reframes the purpose of the visit as a ‘family health’ visit—not just immunization. Second, women can enroll to receive regular recordings on their phones, delivered just before scheduled immunization visits. These message take the form of a serial drama with stories that correct misperceptions about family planning, provide rules of thumb about when family planning use is appropriate, and offer clear and actionable steps for women who want to take up family planning. In addition, health workers receive weekly interactive voice messages that remind them how to address clients’ concerns about a variety of health topics. These interventions provide a clear channel for health workers to provide guidance about family planning to postpartum women and to help these women follow through on their intentions. It’s an innovative solution that addresses all of the behavioral bottlenecks we identified with our partners after talking to many women on the ground in Senegal. But that isn’t where we started. Our first iteration was a series of activities to include in family planning causeries—informal talks held in the waiting areas of health facilities across the country—which included a curriculum of key messages to address misperceptions about family planning. Our second design was an extensive postpartum health checklist that would prompt health workers to discuss several important health issues with clients during each immunization visit. We were enthusiastic about the potential of these ideas—and then we ran our first experiment. We user-tested our two design ideas with postpartum women and health workers, and as was expected, both design ideas included successful components, but both had failures as well. 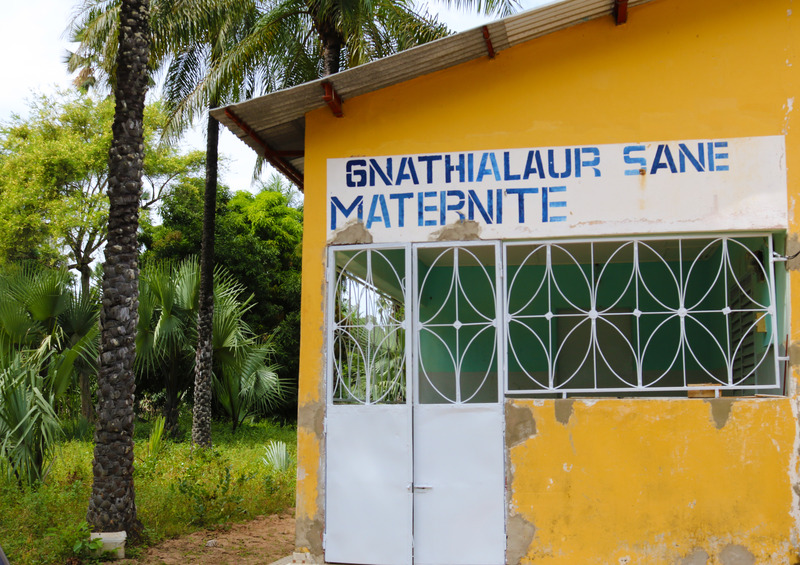 While both clients and health workers liked the clear, actionable messages about family planning, the very busy and public environment of a causerie was not the best context in which to provide complex, important information to women. Plus, causeries were not a reliable way to reach people—we learned that some health facilities hold regular causeries, while others hold them irregularly or not at all. In the absence of these causeries, women face no clear moment of choice during which they must decide whether to take up family planning. And while health workers liked the comprehensive postpartum checklist and the discussions it prompted, they found the checklist too long and rather cumbersome to use. With this project—like many others!—not all of our ideas worked. But with each ‘failed’ design idea, we kept the best parts and reworked the rest. We used data—feedback from women and health workers—to learn from each attempt. Iteration brought us new ways of addressing the key behavioral bottlenecks that prevent women who want to delay pregnancy from accessing family planning services. We conducted a pilot test in October 2017 to ensure that our design was feasible and acceptable to both clients and health workers, which it was on both counts, and we are about to launch a randomized controlled trial to assess the impact of the design on family planning and immunization rates. This process was not unusual at all. The Wright brothers crashed the first airplane they tried to fly. It took Thomas Edison over 1,000 attempts to invent the first commercial lightbulb. As Edison pointed out, ‘failed’ experiments are not truly failures, rather, they are opportunities to collect data, learn, and improve until an idea finally works. These failures are a small price to pay if it means that we can find a way to positively impact the lives of women and their families.